Japanese encephalitis virus (JEV) is estimated to cause 30–50,000 cases of encephalitis every year. The disease occurs mainly in rural Asia and is transmitted to humans from birds and pigs by mosquitoes of the genus Culex. JE is diagnosed with antibody testing of the serum and CSF, but this is not available in many hospitals. 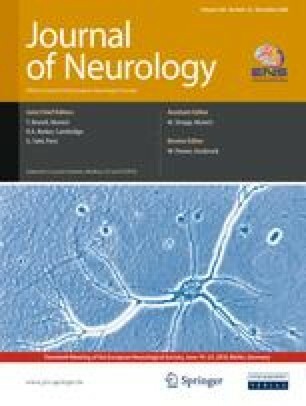 Neuroimaging abnormalities, particularly thalamic hypodensity on computed tomography (CT) and hyperintensity on T2 weighted magnetic resonance imaging (MRI) have been described in case studies, but their usefulness for diagnosing JE is not known. We have therefore evaluated the usefulness of neuroimaging (CT and MRI) for the diagnosis of JE. The findings of thalamic lesions were compared with the final serological diagnosis in a cohort of 75 patients (children and adults) with suspected CNS infections in Southern Vietnam, a JEV endemic area. Thalamic lesions on CT and/or MRI combined had sensitivity 23% (95% confidence interval 12.9–33.1%), specificity 100%, positive predictive value 100% and negative predictive value 42.1% (95% confidence interval 30.2–53.8%) for a diagnosis of JE in this cohort. Over time, the thalamic lesions resolved in some patients. One patient showed disappearance of lesions on CT followed by reappearance of the lesions some time later, known as the fogging effect. In this setting, the presence of thalamic abnormalities suggested the diagnosis of JE, but their absence did not exclude it. We are grateful to the director and staff of the Centre for Tropical Diseases for their support, in particular Tran Tinh Hien and the doctors and nurses of the adult and paediatric intensive care units. David Vaughn and staff at AFRIMS, Bangkok gave diagnostic support, and Mani Putharan at the Walton Centre gave assistance with the images in this paper. This work was funded by the Wellcome Trust of Great Britain. TS is an MRC Senior Clinical Fellow.